According to a new report from Berg Insight, the number of active fleet management systems deployed in commercial vehicle fleets in North America was 8.0 million in Q4-2017. Growing at a compound annual growth rate (CAGR) of 15.6 percent, this number is expected to reach 16.4 million by 2022. In Latin America, the number of active fleet management systems is expected to increase from 3.0 million in Q4-2017, growing at a CAGR of 13.1 percent to reach 5.5 million in 2022. The top-25 vendors in the Americas together have a combined installed base of more than 7 million active units in the region today. Notably, all of the top-15 players each had more than 100,000 active units in the Americas at the end of 2017. 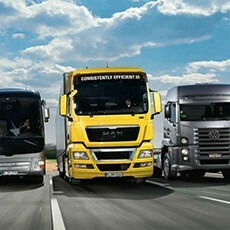 More than 40 percent of the total number of units deployed in the region is represented by the five largest fleet management vendors alone. “Verizon Connect is the clear leader in the fleet telematics space both from a global perspective and in the Americas specifically”, said Rickard Anderson, Principal Analyst, Berg Insight. Verizon’s closest competitor in the Americas is Geotab which has grown considerably in the past year, followed by Omnitracs and Trimble which have both surpassed 0.5 million active fleet management subscribers in the region. “Zonar Systems rounds off the top-5, just ahead of Michelin which has established a strong position in the Americas through multiple acquisitions”, continued Mr. Andersson. 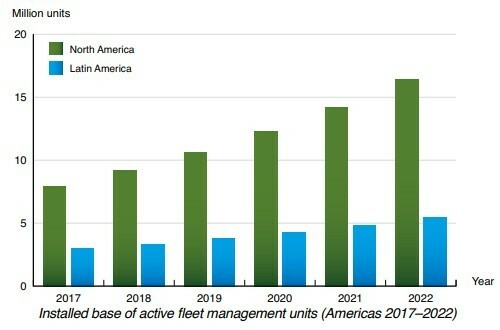 The post The installed base of fleet management systems in the Americas to reach 22 million units by 2022 appeared first on IoT Business News.